Valentine's Day SALE from Husky! - Ford F150 Forums - Ford F-Series Truck Community. Make sure your vehicle looks like new in any season and any weather. Purchase qualifying products from Husky Liners and SAVE 10% OFF the original price. Don't hesitate! Prices are already reduced. This offer is valid from February 11 through February 18, 2016. Valentine's Day a month away. 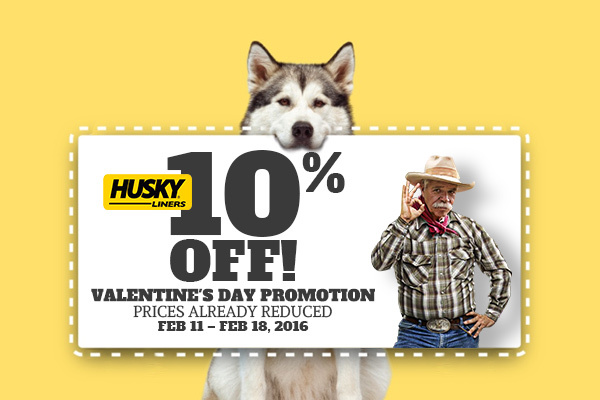 Quick Reply: Valentine's Day SALE from Husky!